The Eachine E013 Plus is a brushed FPV microdrone. It features powerful 8520 motors, a 1000 TVL camera, and comes in a variety of ready to fly packages. This is an excellent low-cost option if you are looking to get into flying FPV. The E013 Plus even features a flip over after crash, aka turtle mode. That may not sound like a big deal but when you are learning to fly FPV it is an absolute time saver. The Eachine E013 Plus is very much like one of our favorite drones, the Eachine M80. They have almost identical features and specs. However, the E013 Plus has some advantages over the M80. First, it is less expensive. With a starting price less than $50 this is a great beginner quad. I highly recommend adding the three battery package, but that will only bring the price up to $58. If you need a set of FPV goggles that can be added for an additional $30. There is even a 5 gate timing package that you can purchase for another $35. The top of the line package includes the E013 Plus, remote, VR006 FPV goggles, three batteries and five gates for $115.99. That is one excellent beginner package and has everything you need to get flying. The Eachine E013 Plus is very similar to the Eachine M80. The E013 Plus features three different flight modes. Like the M80, you can fly it in altitude hold mode, angle mode, and even acro mode. This is a great progression for beginners. Altitude hold mode makes it easier for true beginners because they don’t have to manage the throttle as much to keep the drone level. Angle mode allows the pilot to have full control over the throttle but still will limit the angle in which the drone can pitch forward and the drone will self-level itself. Acro mode gives the pilot full control of the quad and is how the professional pilots fly. You should expect to get 4-5 minutes of flight time and a range of around 100 meters. The camera is a 1000 TVL camera with a 48 channel, 25 mW video transmitter. The 1000 TVL is nice and should produce near HD quality in your goggles when you are flying nearby. The video transmitter is switchable to 0.1 mW to help avoid interference with other drones nearby. One thing that is particularly helpful is that the video channel and band can be changed using buttons on the remote controller. Much like using smart audio on an FPV quad this is very much appreciated and an excellent feature. The remote is a decent toy grade gamepad style radio. The controls feel good in your hand and there is even a way to attach a monitor should you prefer that over a pair of FPV goggles. You can use any set of 5.8 ghz goggles but the VR006 goggles are an optional add-on purchase with the Eo13 Plus. They are small with a 3″ display. They work well but do not have a DVR. They are a solid addition for only $30 and you can upgrade to a better pair of goggles later. I highly recommend the Eachine EV200D FPV goggles. The race gates are an excellent idea and a fun addition. I don’t have a set myself, so I won’t be able to test the accuracy of the infrared timing system but it is an awesome idea. Should You Buy the Eachine E013 Plus? If you are looking for an inexpensive drone to learn how to fly FPV then the Eachine E013 Plus is definitely worth looking into. It has some awesome features and there are a lot of different packages to suit your FPV needs. The Eachine E013 Plus is an excellent FPV option. Make sure you check out our YouTube channel so you can stay up to date with all things drone. Whether it is an aerial photography machine from DJI or a lightning fast FPV racer we have you covered. We also use Facebook, Instagram, and Twitter to keep our readers and viewers up to date. 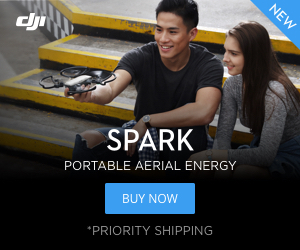 If you want to buy a drone we highly encourage you to use the links in the article above. By using them we’ll make a small commission but won’t cost you anything extra. It is how we are able to keep producing content for you. 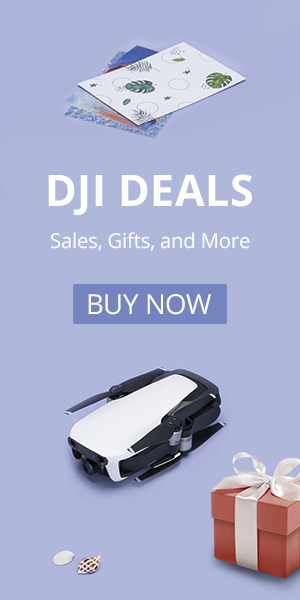 Check out our shop tab at the top for deals from Amazon, DJI, Banggood and more. Make sure you check out some of our more popular pages like Best Drones Now, Aerial Photo Tips, Top Accessories and All Things FPV. Happy Flying.